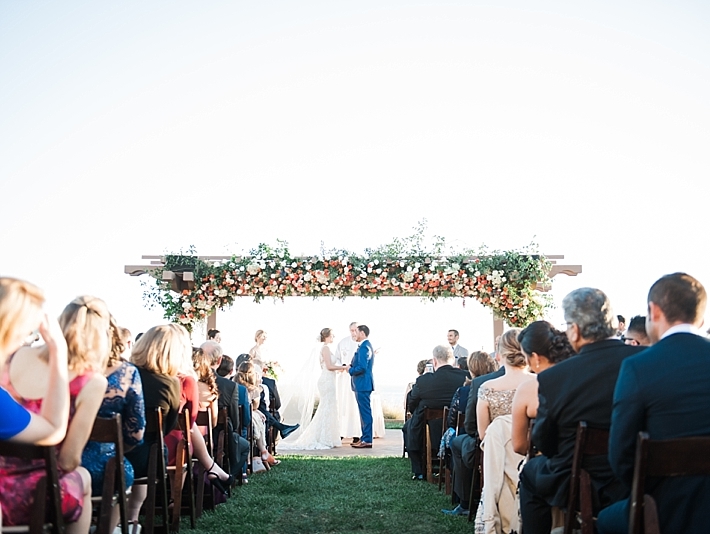 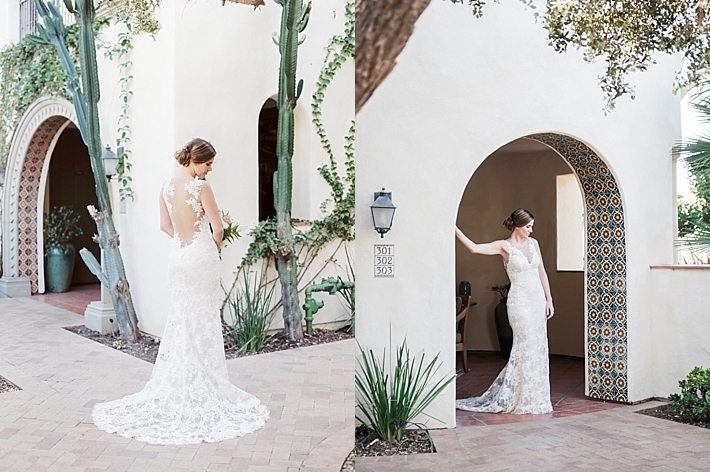 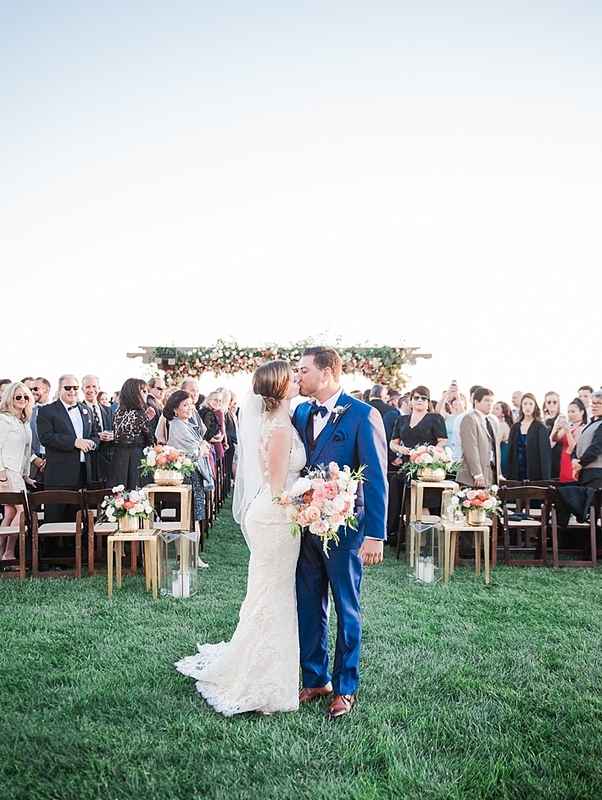 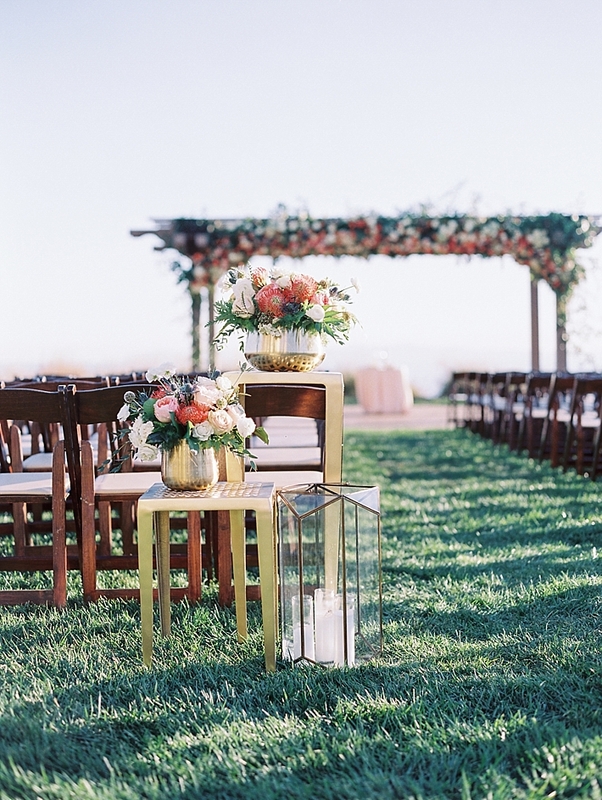 "Since they met 4 years before their wedding date, this Southern California bride was completely entranced by her groom's rich Mexican culture. 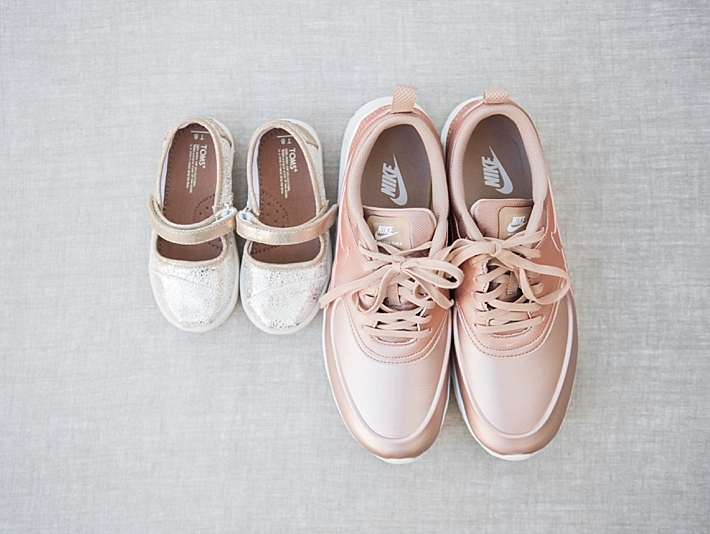 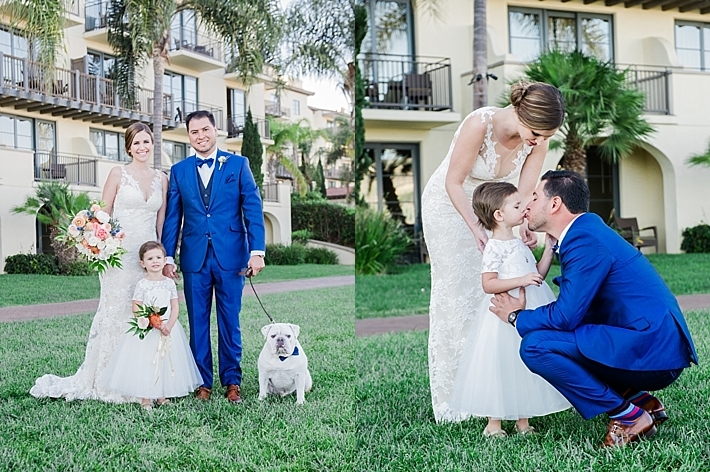 It was definitely love at first site for these two. 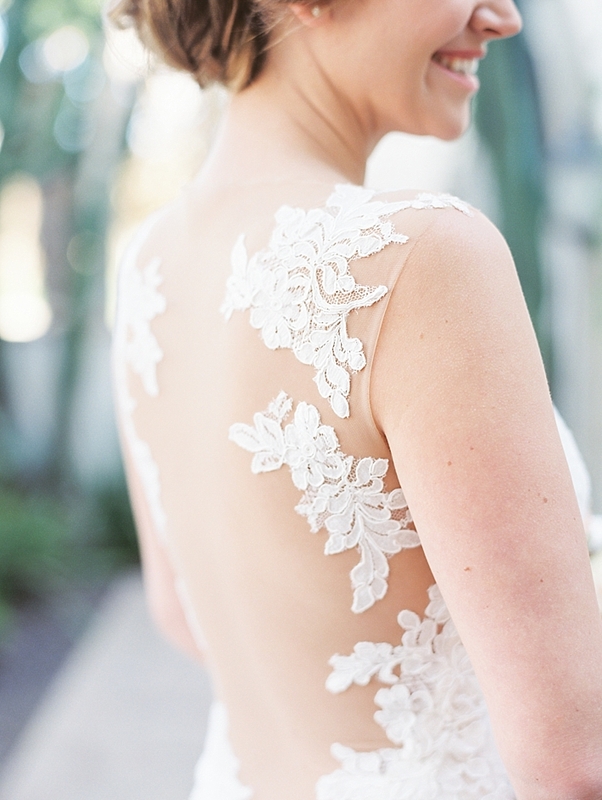 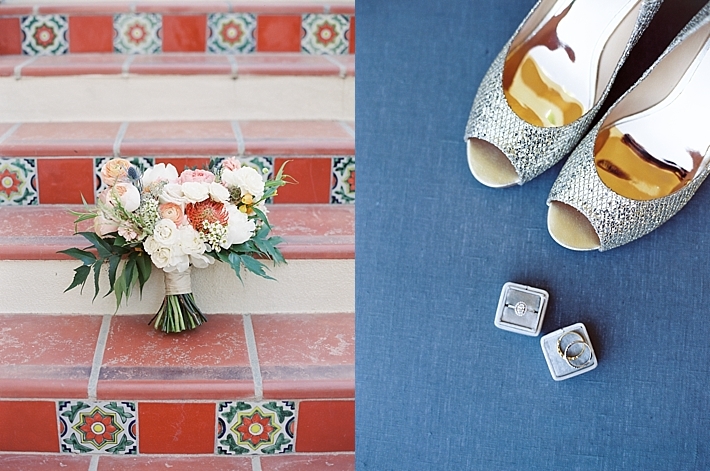 So what a perfect way to celebrate their wedding day, by bringing in some Spanish-influenced details. 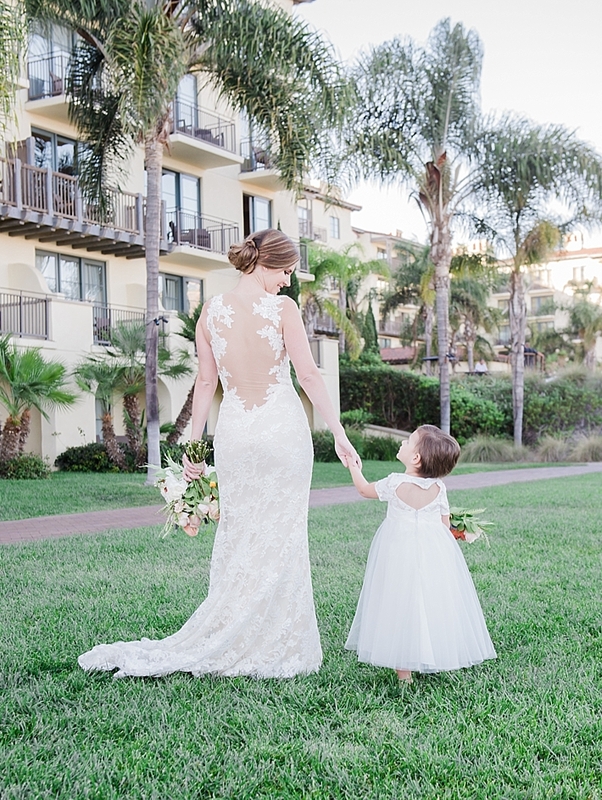 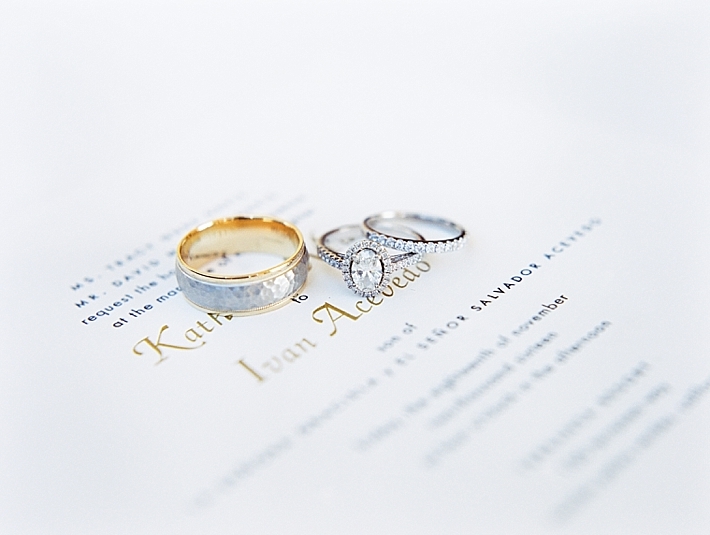 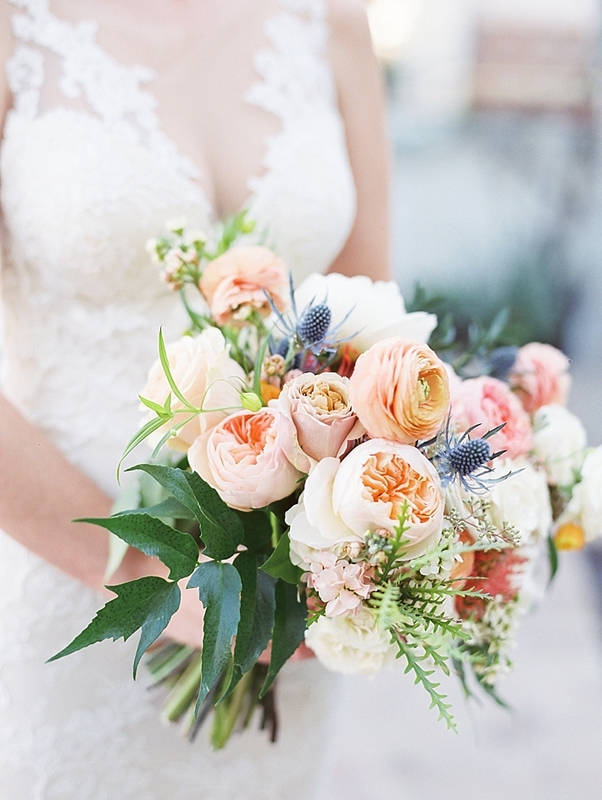 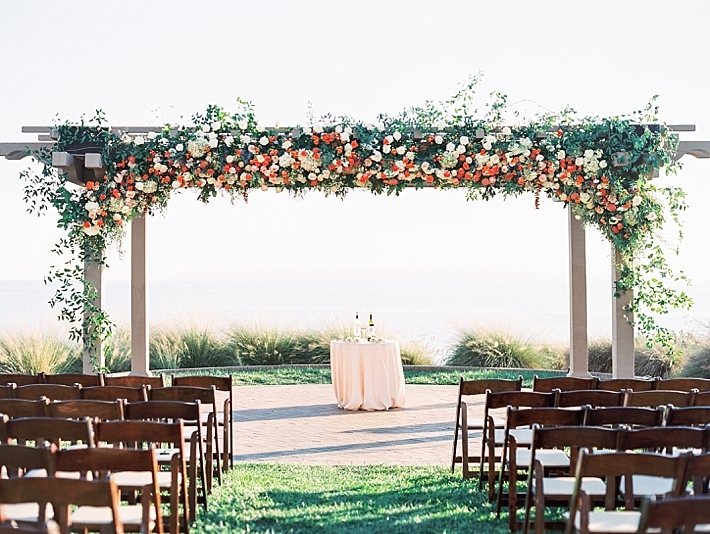 With the helpful planning by Trina Schmidt Weddings & Special Events, this couple's dream wedding took place at their all-time favorite resort, Terranea Resort and Spa. 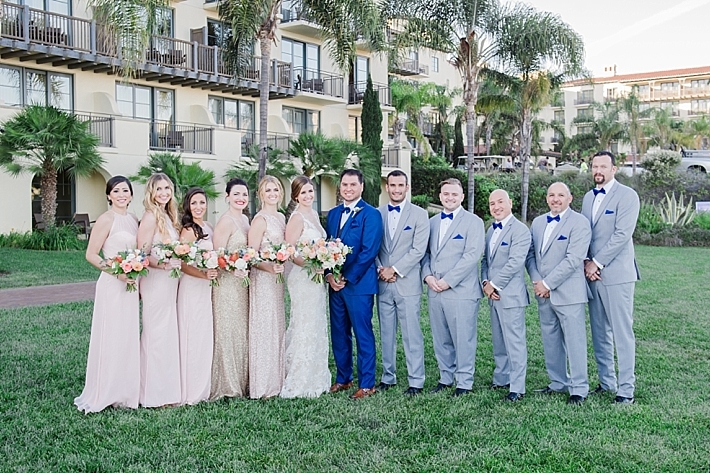 Beautifully captured by McCune Photography and Mission Visual, the weekend started with some girl and guy time as each of them shared private cabanas with their closest friends and family during their 3 day stay at the resort. 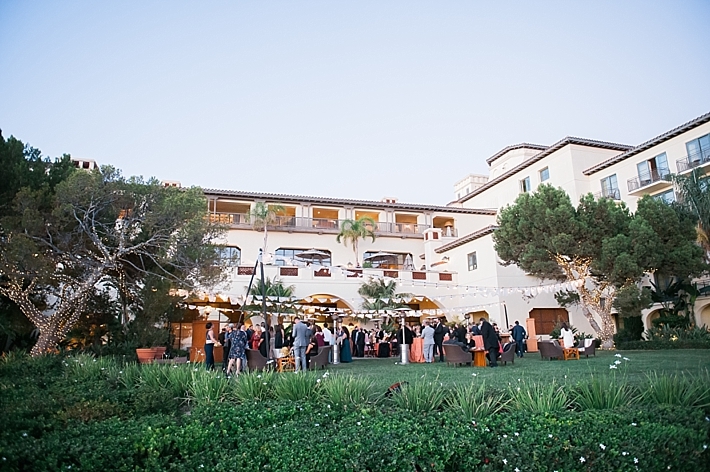 The rich terracotta rooftops and intricate Mexican tile provided the perfect setting at Terranea, and you can't complain about being right along the Pacific Ocean blue. 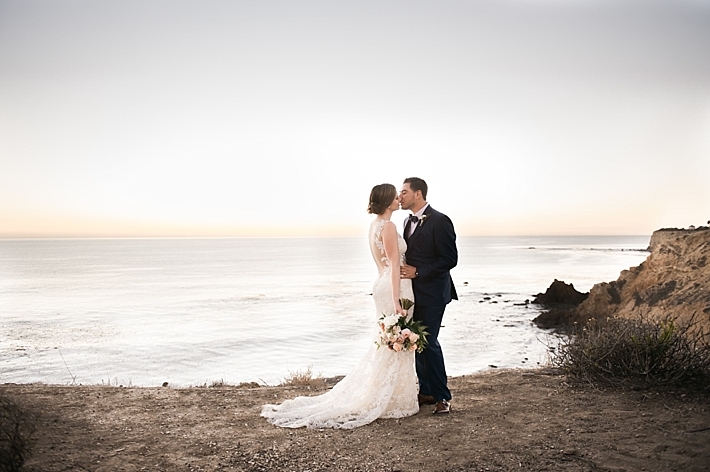 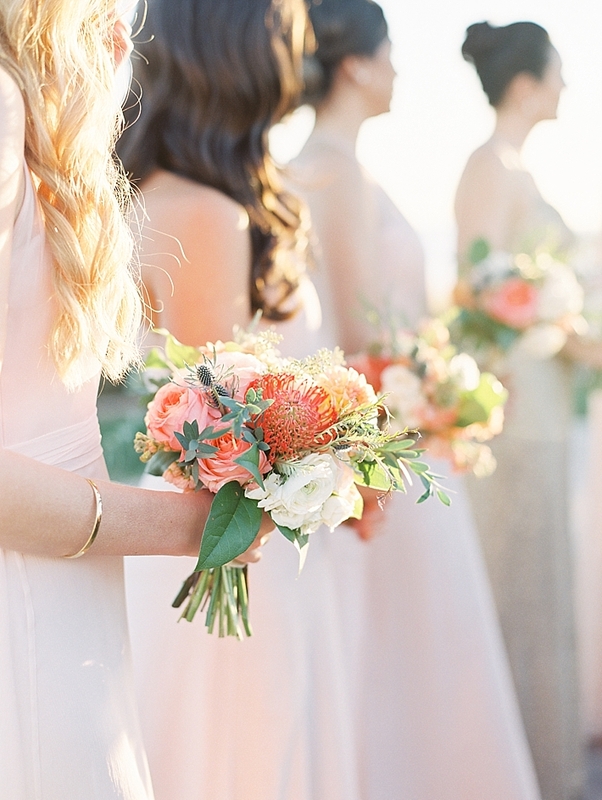 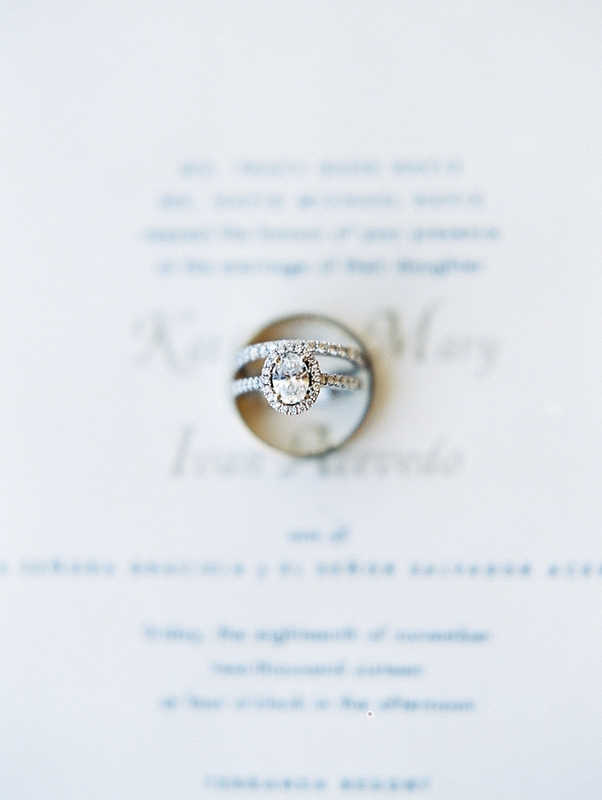 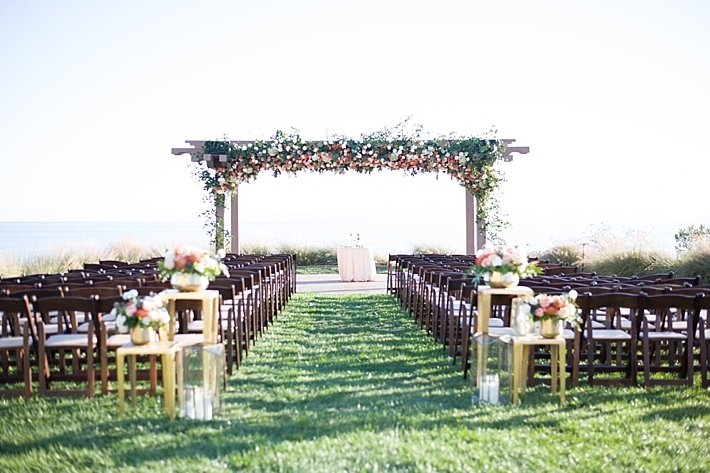 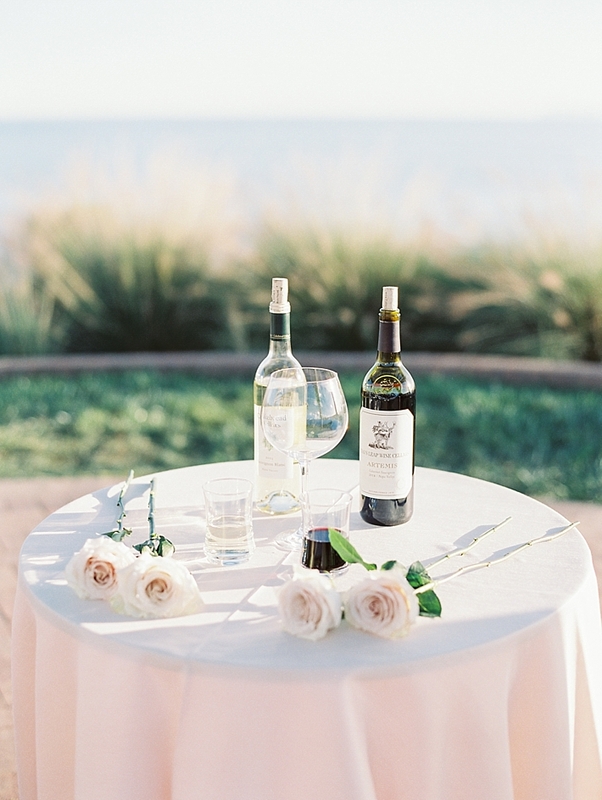 Their ceremony had endless ocean views with their family and friends right by their side. 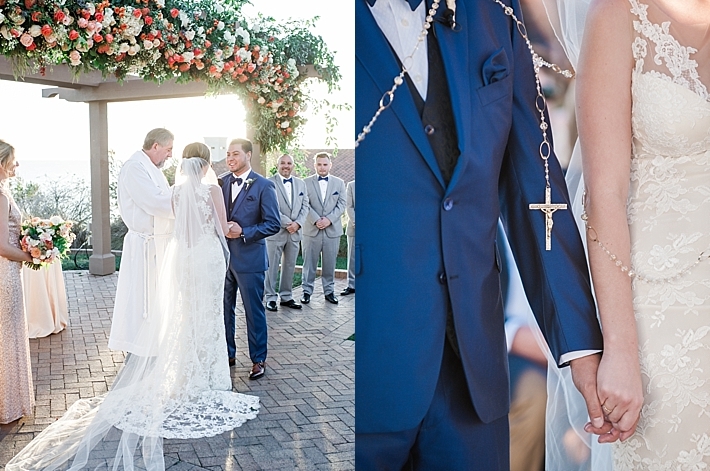 The Catholic priest brought out tears of joy from everyone, especially as the bride and groom's 3 year daughter was also honored in their ceremony. 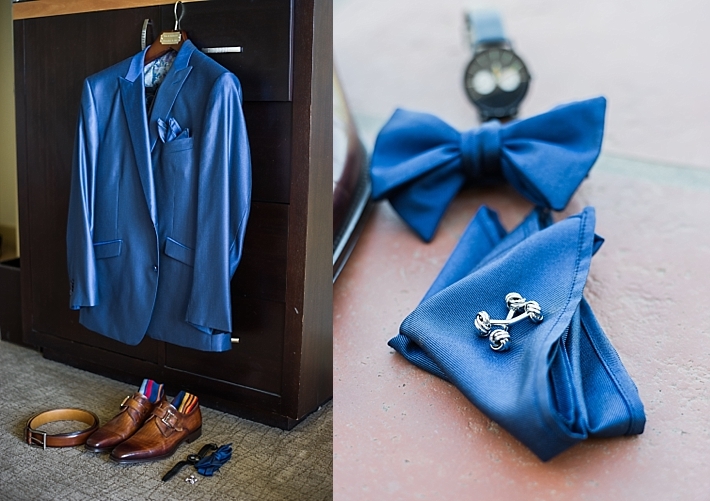 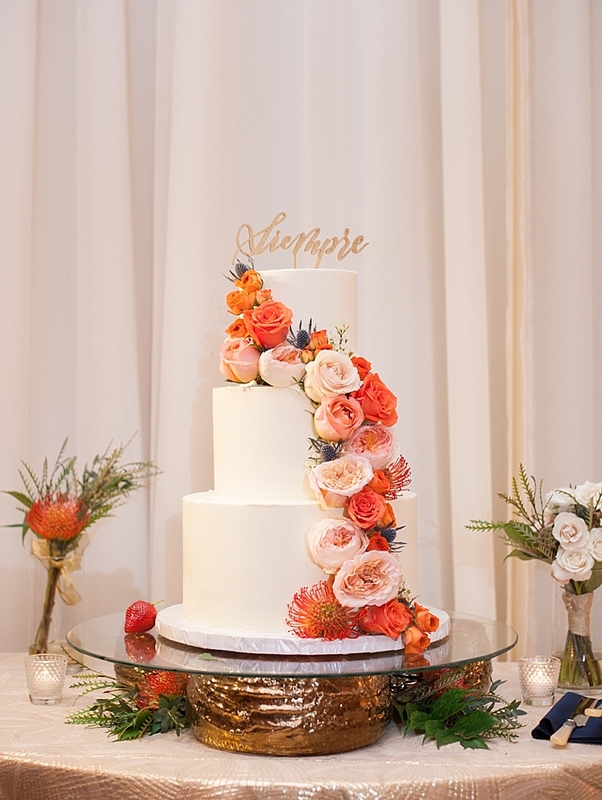 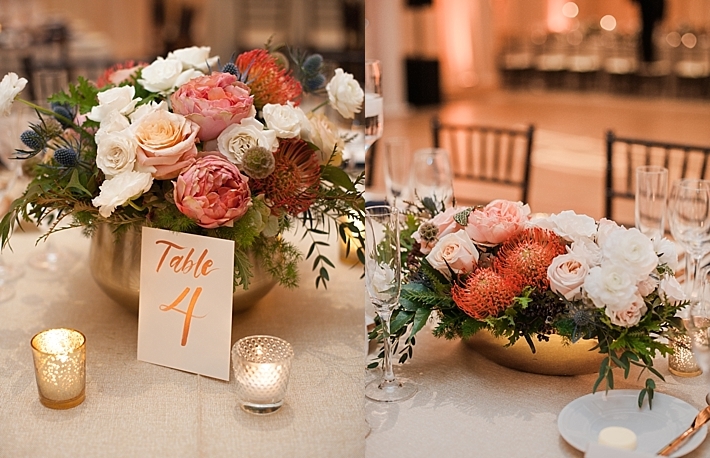 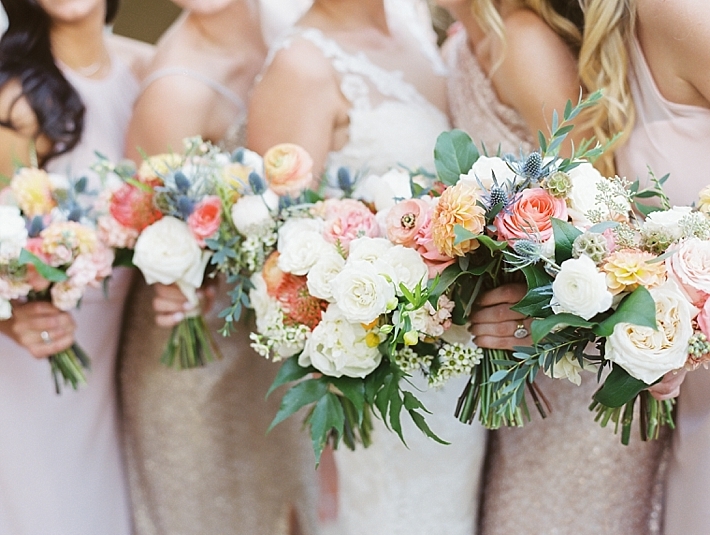 Of course these beautiful details wouldn't have been possible without the gorgeous floral designs of Rebelle Fleurs, who added the perfect amount of rust, blush & amber tones to all the floral, which complemented the navy blue accents in the groom's custom tailored suit from b.Spoke. 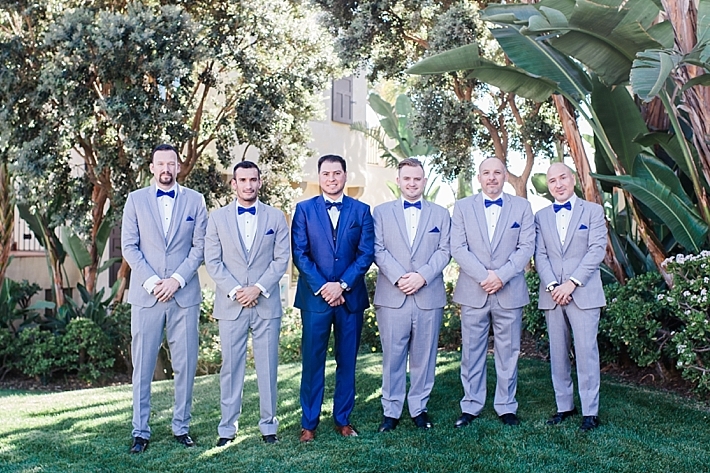 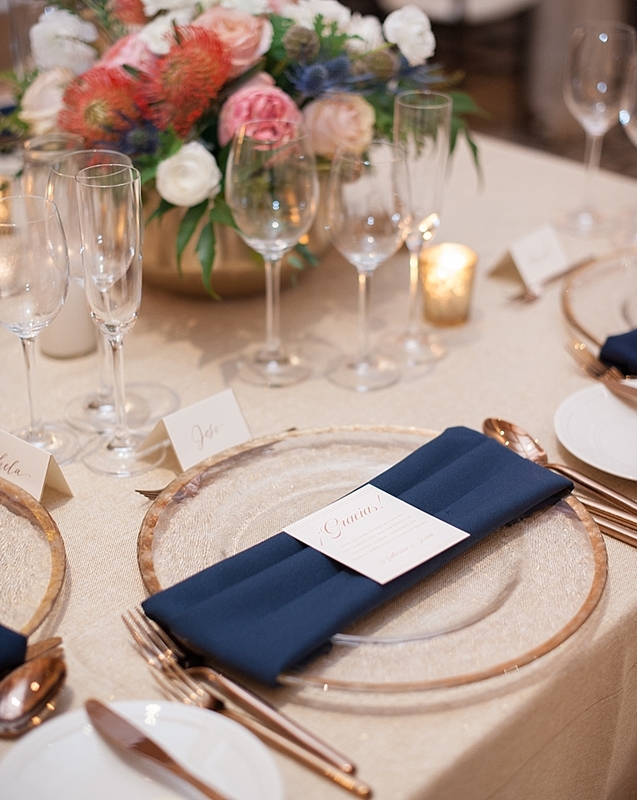 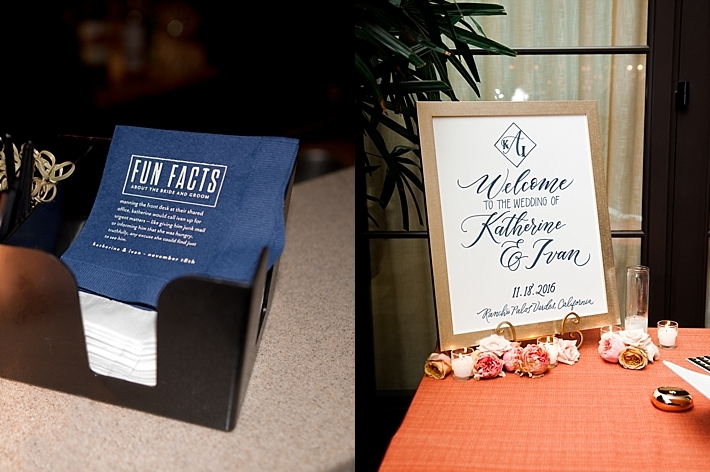 Some other subtle navy blue details were in their invitation, created by Francis-Orr in Beverly Hills (owned by a family member), their cocktail napkins and in the groomsmen wear and ring bearer's suit. 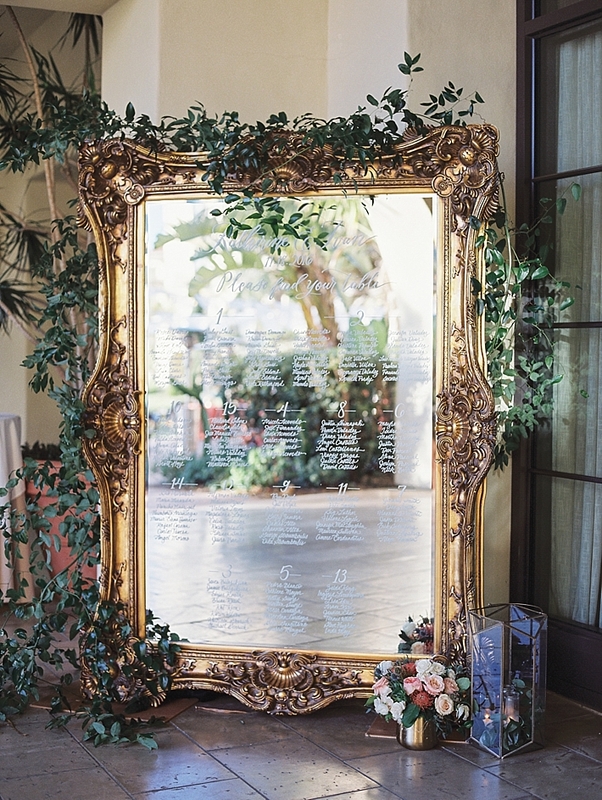 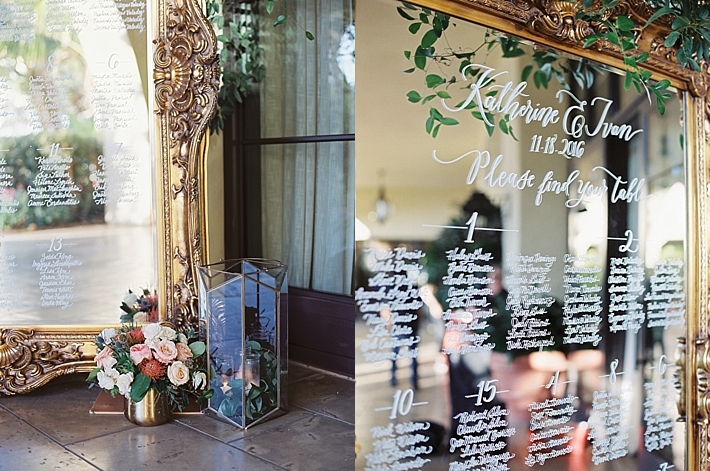 The talented Heidi Davidson Design provided hand calligraphy on the enormous vintage mirror by Above The Top Party Rentals. 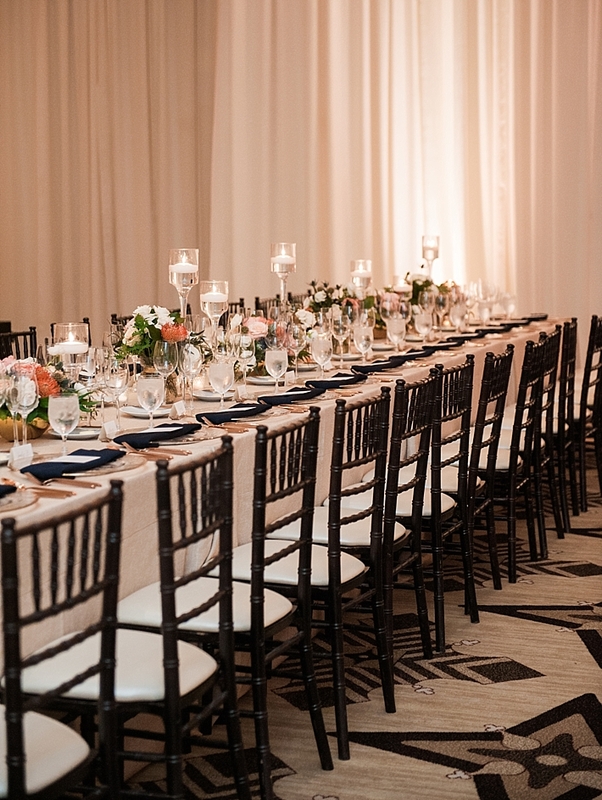 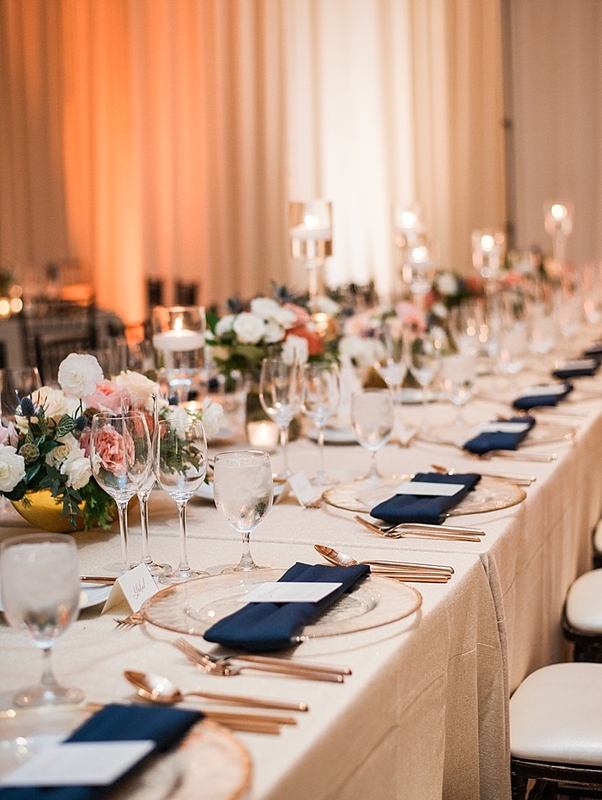 The Catalina Ballroom was draped by Chiavari Chair Rentals on all four walls to soften the look and upgraded linens were provided by Luxe Linen. 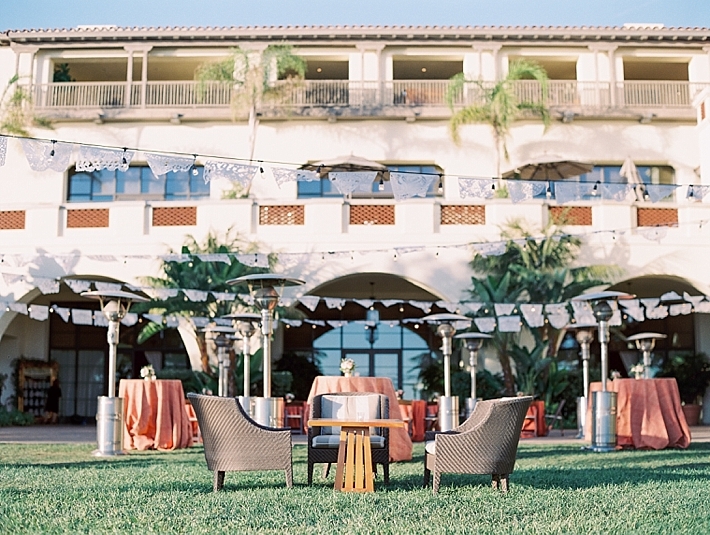 Picado picallados and bistro lighting created the perfect fiesta-like outdoor setting, installed and provided by Classic Party Rentals. 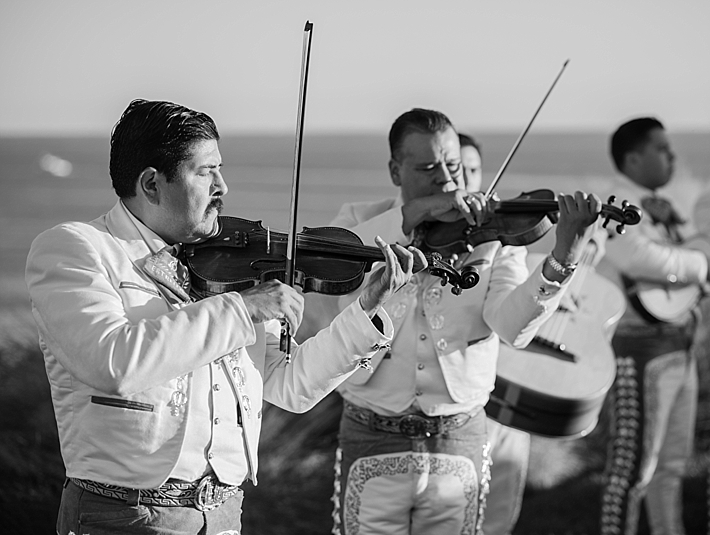 Besides the 4 course meal, entertainment was definitely a priority for this couple, from the Estrella De Jalisco mariachi band, to the incredible Latino mixing talents of Luxury DJs. 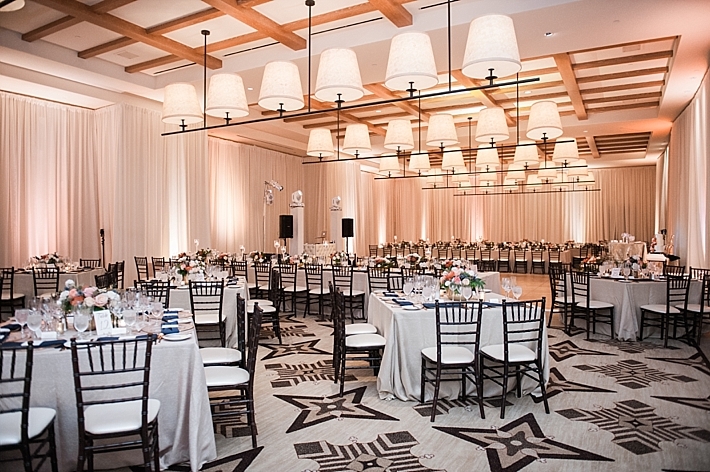 The bride danced the night away in her Amsale gown to the sounds of sambas and salsas. 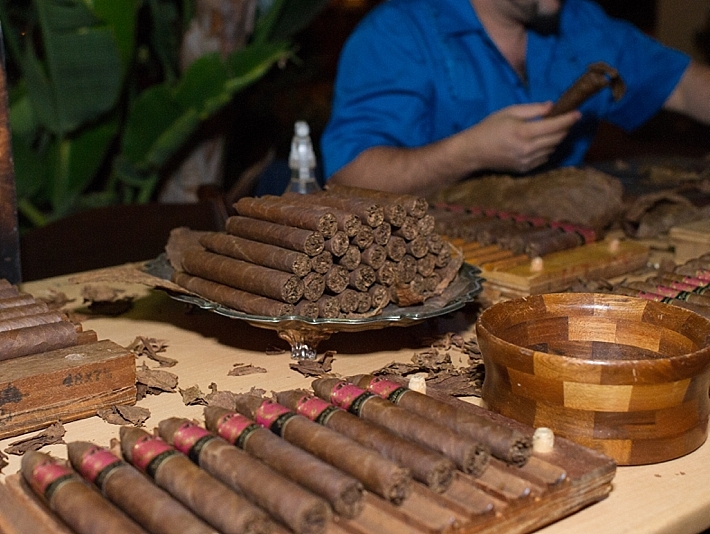 Guests also enjoyed a delicious cake from Vanilla Bake Shop and for cigar enthusiasts, Mi Havana Cigar House educated guests and rolled cigars upon their requests. 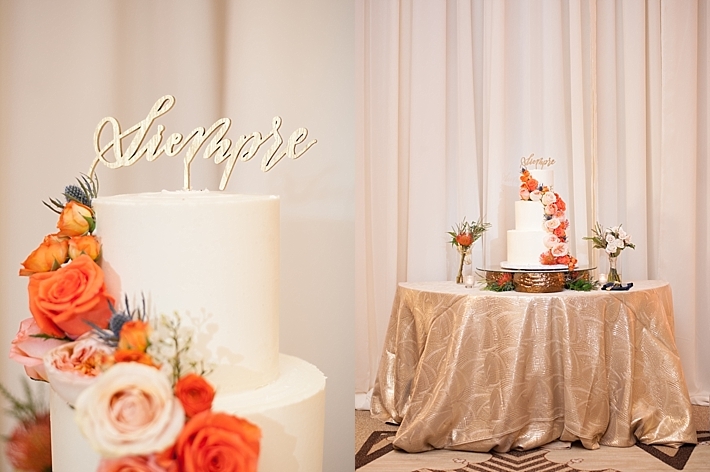 Their "Siempre" cake topper and "Gracias" cards at each place-setting were the perfect statements in defining how beautiful this day was for all their guests."